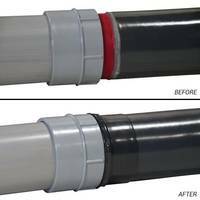 PVC Coated Sealing Locknuts feature integral sleeve on reverse side. 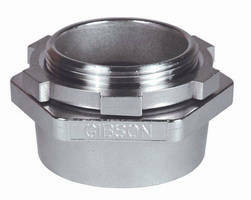 Designed for fitting securely over circumference, PVC Coated Sealing Locknuts feature built-in gasket at face of locknut. 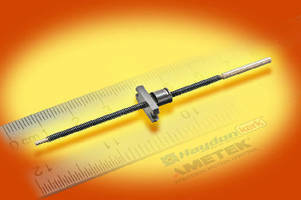 Allowing sleeve to thread on 2 ½ threads, units feature specially formulated, UL recognized gasket and sleeves. 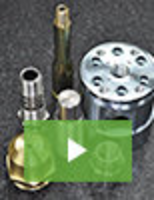 Locknuts can be tightened by using strap-wrench and lube and are used with water and oils. 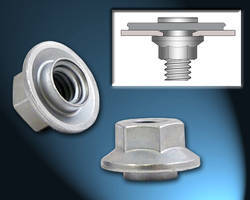 Anti-Backlash Nut fits 2 mm diameter screws. 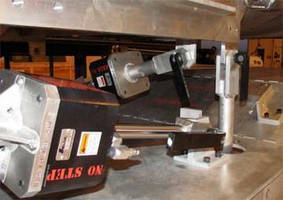 Spinning Flare Nuts rotate freely for hardware attachment. Floating Panel Nuts position and spin freely.